For me, there’s no holiday without plaid. 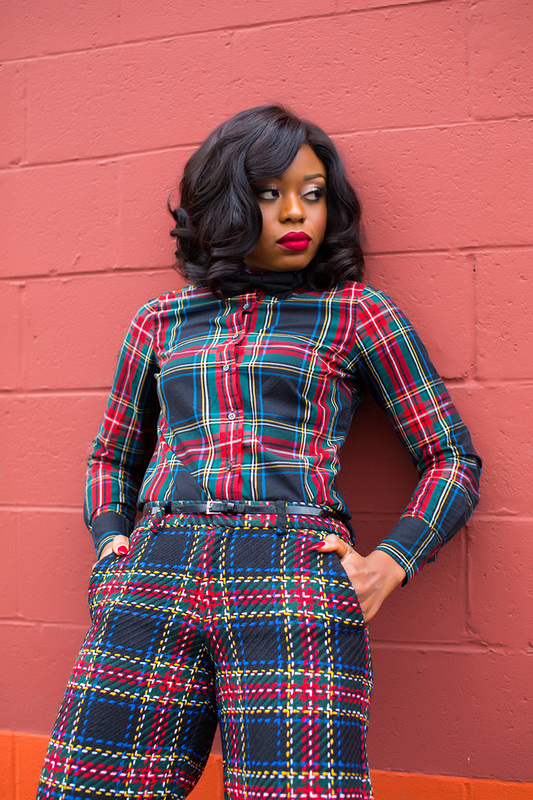 Plaid print is synonymous with the holiday season. 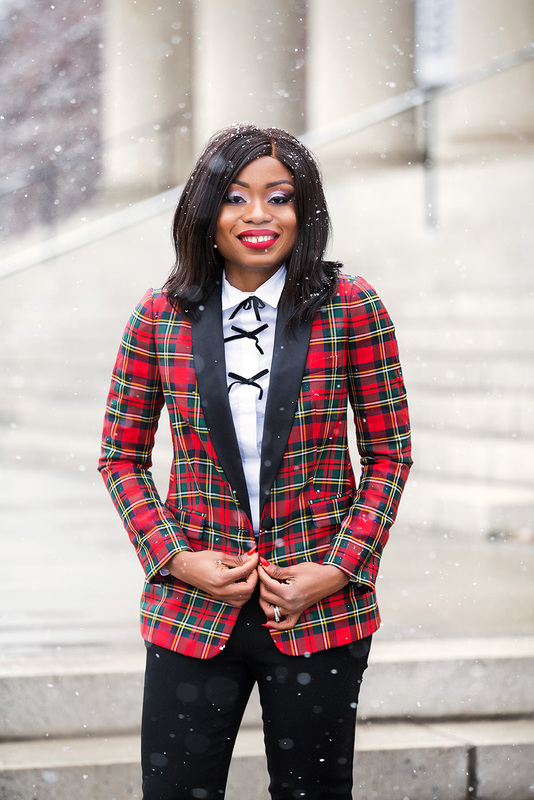 Incorporating plaid print for holiday work event is fun and I love wearing it at every opportunity I get. 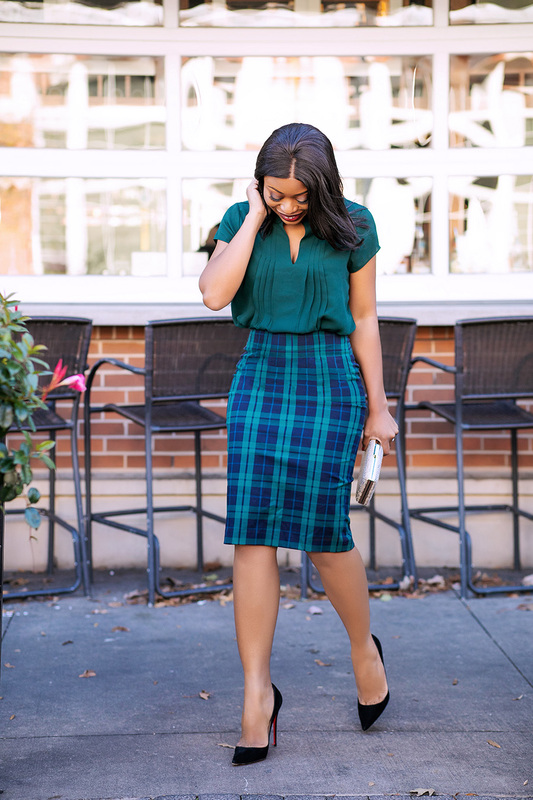 For a work holiday, I decided to wear this green mix plaid pencil skirt. I wanted to keep it simple, but still festive for holiday work event. Wearing plaid for work holiday doesn’t require a lot of thought. You can pick a piece of plaid clothing with complementary solid colors. For this look, I paired it with green blouse layered with a darker shade green coat. I choose a black classic pumps which also complements the colors of the plaid. Plaid skirts are perfect for the holiday. 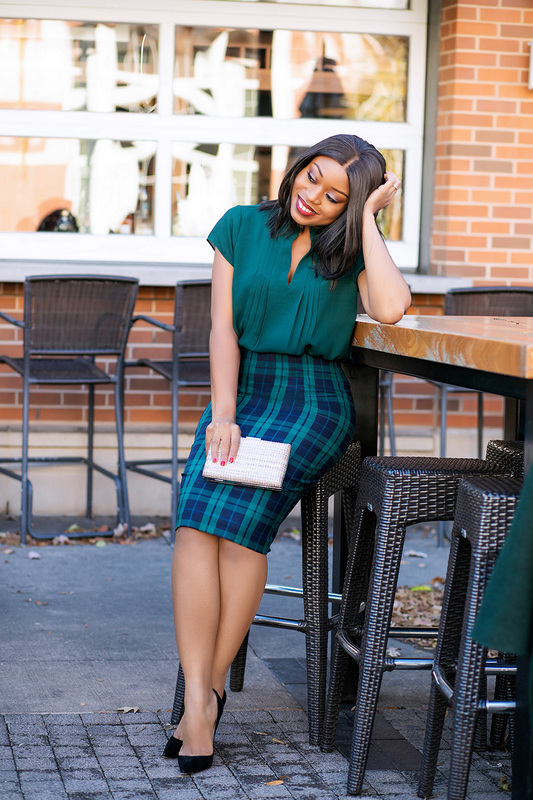 For a formal work environment, plaid pencil skirt will be appropriate for the holiday. You can pair it with silk blouses, cashmere sweater or chunky knits. Personally, I love to wear plaid pencil skirts or A-line skirts with feminine blouses and solid colors to complement. For cold days, you can also add sheer tights or pair with knee-high boots. 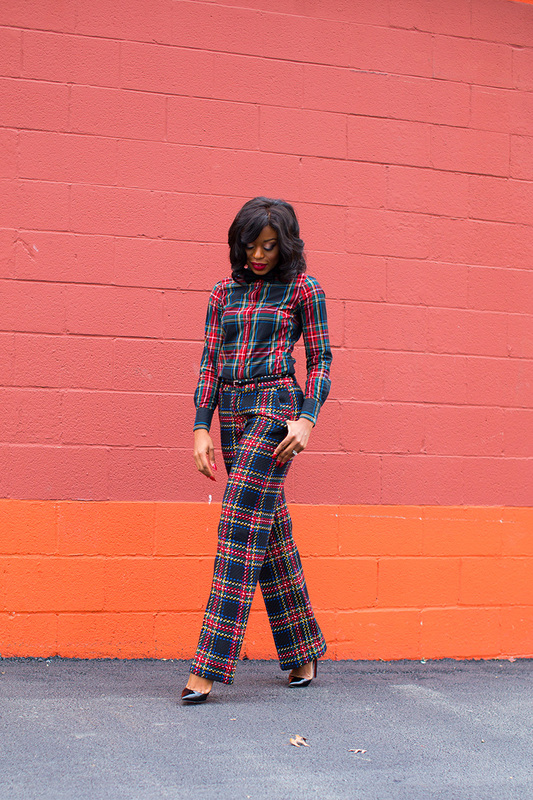 Plaid pants are also another way to wear plaid for work during the holiday season. You can either wear ankle plaid pants or straight cut pants.The color of the plaid is up to you. If you don’t want to wear vibrant plaid colors like reds or greens, you can go with a more neutral or rustic pair. With plaid pants, you can pair the red and green plaids with solid black or navy colors so that it is not overwhelming. You can also pair it with vibrant warm fall colors like mustard, burnt orange or go neutral with brown colors.